Descartes' Meditations, one of the most influential works in western philosophy, continues to provoke discussion and debate. 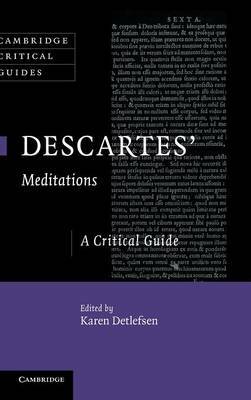 This volume of original essays by leading established and emerging early modern scholars ranges over all six of the Meditations and explores issues such as scepticism, judgement, causation, the nature of meditation and the meditator's relation to God, the nature of personhood, Descartes' theory of sense perception and his ideas on the nature of substance. The contributors bring new insights to both central and less-studied topics in the Meditations, and connect the work with the rich historical and intellectual context in which Descartes forged his thought. The resulting volume will appeal to a wide range of scholars of early modern thought.